Windy would be an understatement. 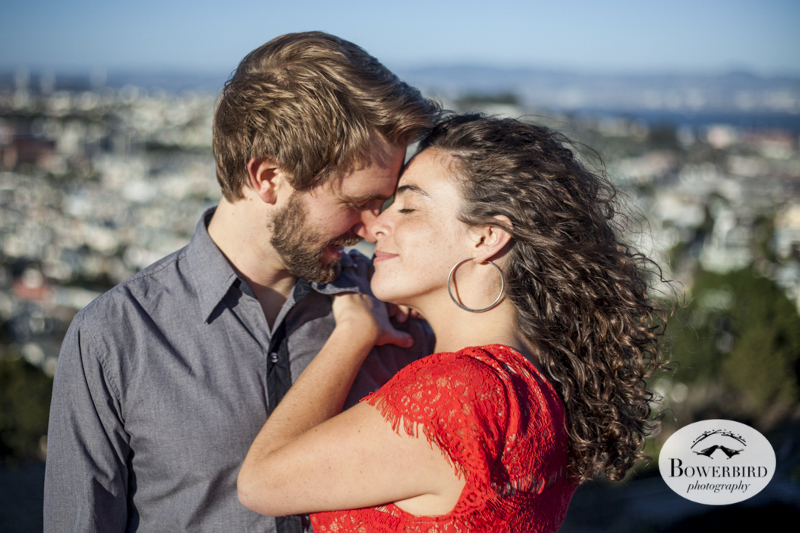 When we arrived on Bernal Hill at sunset to take our friends, Leora + Josh's, engagement photos, it was hard enough to keep standing! But we love wind: for a photo session, it's like having an on-site wind machine and Leora, who has some of the most gorgeous locks ever, embraced the breeze and let her hair whip in the wind. Glamo-rama! 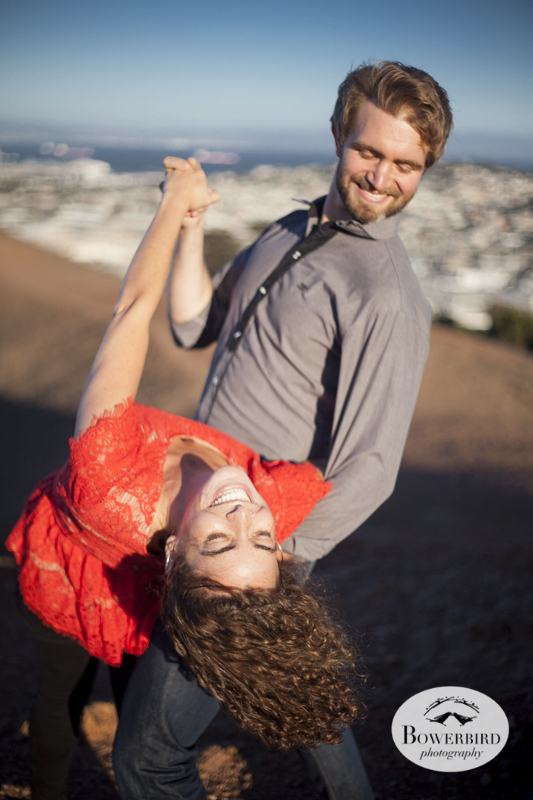 Leora + Josh had their first date on Bernal Hill, writing songs and playing guitar together on the top of the mountain. Therefore it was so fitting that they brought a guitar and serenaded each other once again, their voices blending together like warm milk and honey, creating a perfect duet. 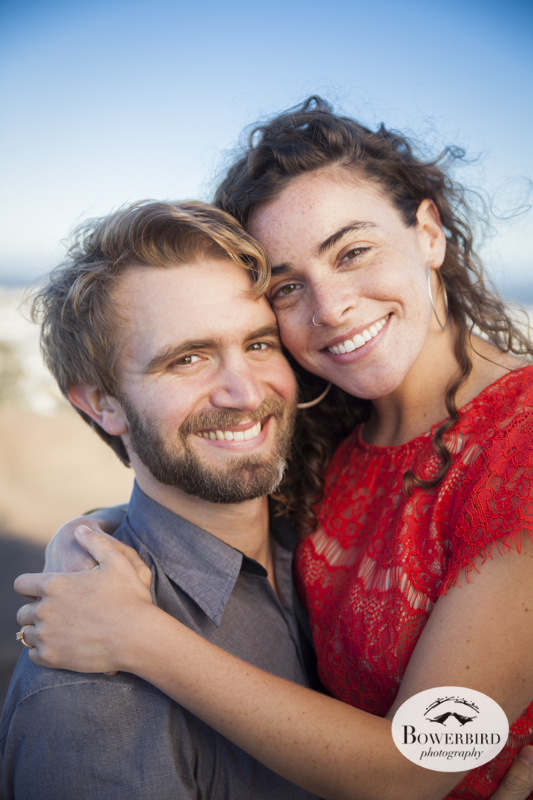 We had the best time on this crisp, fall evening, commemorating their engagement and are so happy for Leora + Josh! 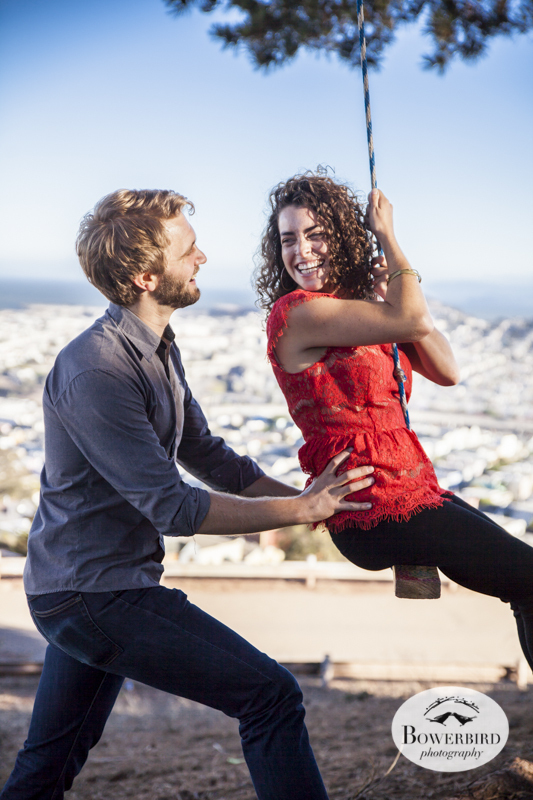 San Francisco Engagement Photography. © Bowerbird Photography 2013. 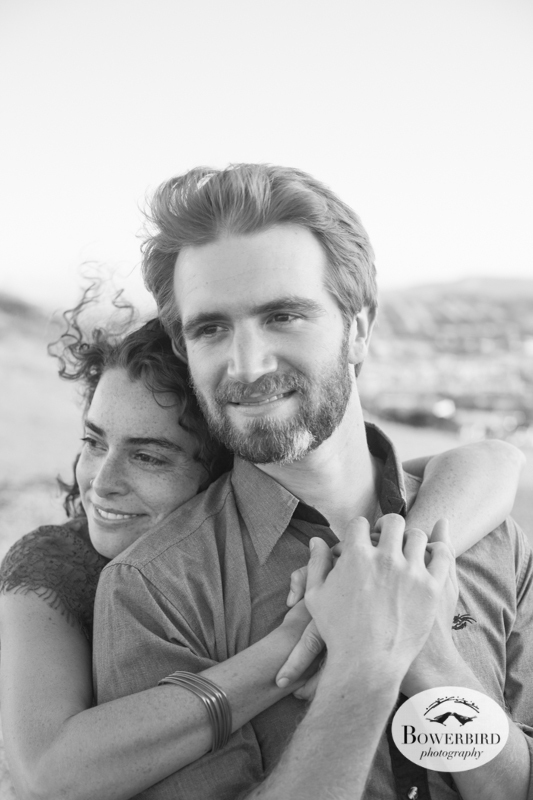 Congratulations Leora + Josh! Much love!